Littleton Property Management, Littleton Property Managers, Littleton , CO Property Management Companies. Citadel Property Management offers a full range of property management services tailored to you as an investor, homeowner, or landlord. We have a portfolio of single-family homes, townhouses and condos in the Littleton and surrounding South Suburban area. Free consultation to evaluate your options. Citadel Property Management works in alliance with some of the largest corporate relocation companies in the world. We promise to get the word out when your property becomes available. A Professional flyer will be distributed to top-quality, premier real estate agents as well as our relocation partners. Our website features all of our available rental properties and offers tenant prospects valuable information to explore their options. We advertise on other major real estate rental websites, and those that are syndicated. A well-written description and professional photos or virtual tour of your property will be provided. We use only licensed real estate professionals to show your home to tenant prospects. A great tenant must be evaluated not only by what is on a rental application, but also by the face-to-face meeting. Good tenants are highly prized! 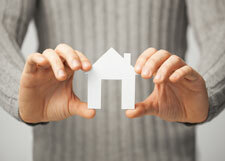 After showing your home to a number of tenant prospects, we will choose the best candidate for you. We use a complete rental application process. A third-party service - part of Trans Union Credit Agency - is used to provide a complete ‘tenant screening’. Tenant Security Deposits and Pet Deposits are held by Citadel Property Management in a non-interest bearing escrow account through the term of the lease. A walk through is done at the time of move in and move out. Deposits are refundable within 30 days of move out if the home is left in move in-ready condition and without damage. Our residential lease is a proprietary contract and kept current according to Colorado State Landlord/Tenancy Law. The preparation and presentation of the lease is provided as a service to both Property Management Clients and Lease Service Only Clients.